How to Write Effective Persuasive Essays. Writing an argument is one thing. Persuading your reader to accept your claim, however, is another. It is like selling an idea. Come too strong and you risk alienating potential allies. Appear too weak and you might fail to sway your reader to your side. Hitting that perfect spot makes a big difference. Let's take a closer look at some of the key points in writing effective persuasive essays. The first thing to remember is this: assume that your reader believes the opposing idea and not yours. Do not start with the assumption that your audience shares your values. Otherwise, you might end-up trying to persuade nobody. So, with the initial assumption that you are writing to people who are against your thesis, your mindset shall be one that is prepared to write a persuasive essay that is strong because it is convincing, and convincing because it raises strong and valid points. Next, acknowledge the opposition. In other words, recognize the counter to your argument by writing it down. What this does is to give those who are hesitant to accept your claim that you are objective and, more importantly, that you understand all sides of the issue. This gives you and your argument credibility. 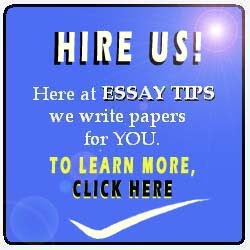 It gives the impression that you have carefully thought out your persuasive essay, thus leaving nothing to chance. Now that you have recognized the opposition, it is time to dismantle the other side by presenting your arguments. The trick here is to present first your strongest argument, and end with the weakest one. This is to persuade your reader to take your side early on, because as you work your way to your least effective argument, you can expect your reader to be less and less apprehensive. That way, it will be easier to convince your audience about the validity of your claim. You can write more arguments and rebuttals in-between, but always end your persuasive essay with a reminder of the benefits that your audience will get if they accept your proposition. This can remove any remaining doubt about your claim. It also helps to wrap-up you discussion on an optimistic note, which leaves a good and lasting impression on your readers, making your persuasive essay both effective and unforgettable. 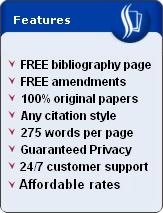 HIRE US and we'll write your papers for you! "Thank you so much for your help guys! I got an A for my research paper! I'm sure I'll use your services again." "Glad you helped me with my essay. I learned a lot from reading it. And what a great bargain!" "Worth every penny! Thanks a bunch guys!" "You guys deliver right on time. I couldn't have done the essay myself. Yay! What a grade saver!"